Just wanted to show a peek at some of what I'm working on this week. Saturday I was in the big city so I got to go to Joann's and get a few things. There was a sale, so I got like six yards of fabric for $27, but I had a gift card so it was only like $2. I liked the grey fabric with the flowers and tree prints. The other two prints are great for lining fabrics. 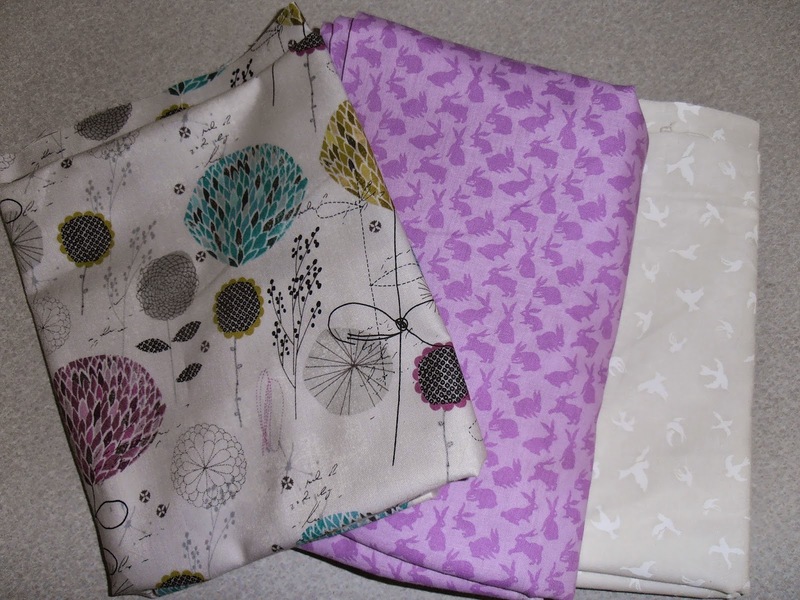 The purple fabric has little bunnies on it, and the white has birds. The white one has already been cut into also. The pattern and melon colored swiss dot fabric has been sitting in my office sense before I went to the U.P. I was supposed to have it sewn before I left, but instead it got washed and dried and that was about it. But today is the day it is going to get cut into. I have some awesome bird fabric to use too, but I wanted to do a wearable muslin first to be sure I liked the fit and length and all that jazz. I really want to get them both made before summer is done. 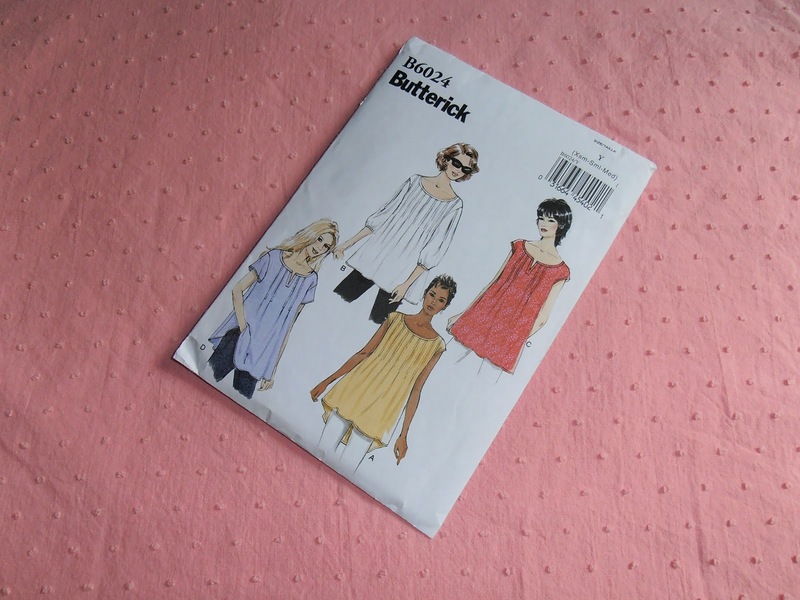 The pattern is Butterick B6024. I'm thinking of doing View C. Plus, then I can still wear it with cardigans in the fall. Anyhow... do any of you have any projects that need to be finished before summer? Wisconsin summer is done mid September so I better get on it.